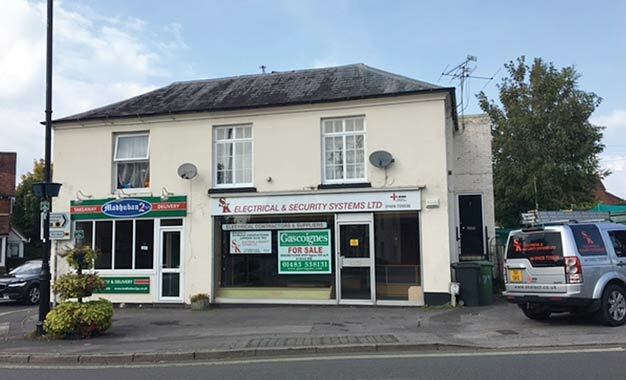 The Ground Floor lock-up shop/office premises are in a high profile and excellent trading location in this sought after town. The accommodation consists in total of some 500 square feet, with a well fitted out showroom, office, with rear store/office, WC/Cloakroom and yard to the rear. NB: The Use Clause does not permit the sale of hot, takeaway food (A5) but (A3) Café use is permitted. The property is situated in The Square Liphook in a prominent main road position. Liphook has a population of approximately 8,200 and is situated some 2 miles south of the main A3 (London to Portsmouth Road) and beyond to junction 10 of the M25. Liphook Railway Station provides a frequent service to London Waterloo in approximately 60 minutes. 17 The Square, Liphook, Hampshire. GU30 7AB.